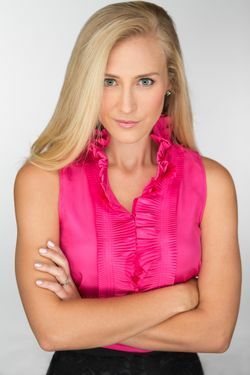 For the past 15 years, Kristina has been offering beautiful corporate and theater headshots to business professionals, CEOs, executives and performers alike in the Washington DC, Maryland and Virginia area. Her name has grown to become synonymous with the term Washington DC Headshots. She's also the only notable female headshot photographer in the area which gives her a strong edge over the competition. "She sees things that men would overlook, so you always look polished and perfect in your headshots." Starting off in performing and theater (many years ago) has allowed her to experience headshot sessions from in front of the camera as well as behind it. "Having this experience allows me to empathize with the person getting their headshots done because I know exactly what it's like to be in their shoes." She noted all the things she liked and didn’t like about the headshot process and set out to create the most enjoyable headshot process for her clients. Recently, Kristina has expanded her team to keep up with client demands and she now offers associate photographer headshot packages at even more competitive pricing. Melissa Robbins has been assisting Kristina for over three years and has grown to become an integral part of Washington DC Headshots. So whether you’re shooting with Kristina, or Melissa, you’re guaranteed to get a fabulous headshot you can be proud to represent yourself with on all the social and business platforms! Kristina photographing former First Lady, Mrs. Obama at the Democratic National Convention in 2012.